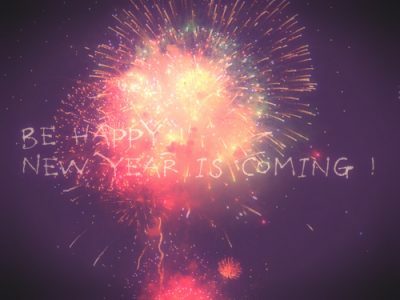 Happy Christmas Eve Everyone, Santa is coming!!! 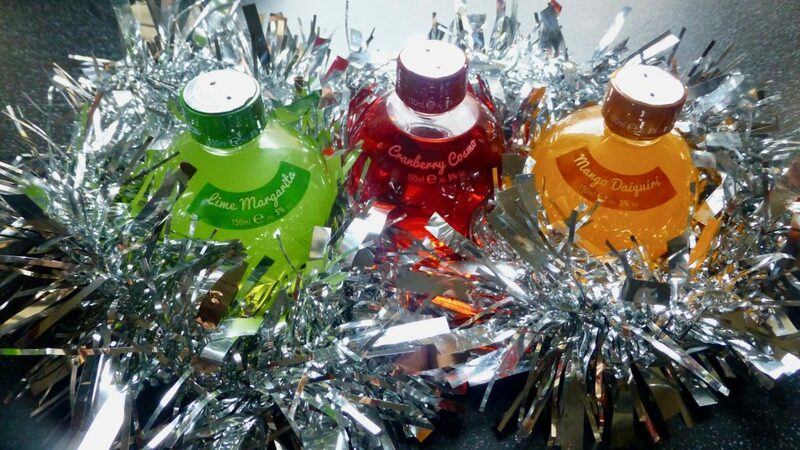 There is no better way to celebrate than with a festive tipple and Sainsbury’s Cocktail Baubles have it covered. 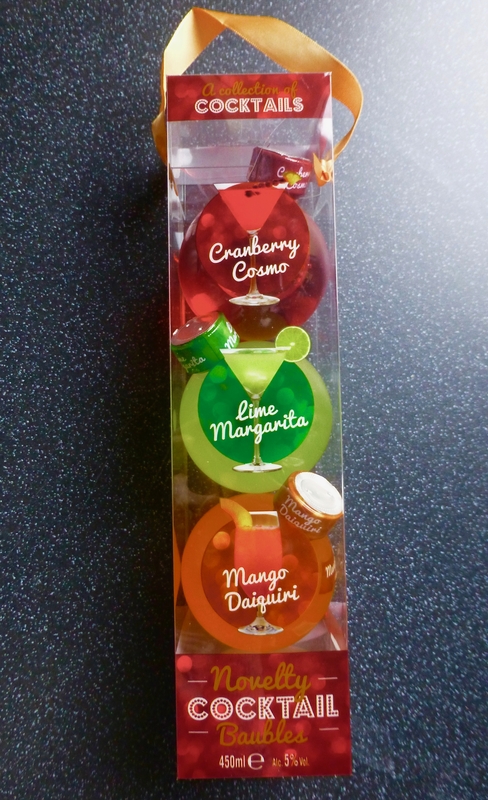 These 3 colourful baubles cost a jolly good £5.00 and were part of the gifting range. Despite their cuteness the primary reason I bought them was because it included a Cosmo. Cosmos are certainly my choice of cocktail and I just cannot turn one down. Despite the size there are quite a lot of E numbers crammed in each one so I imagine you will be bouncing off the walls after a few. To serve it is suggested you chill, pour and enjoy. Couldn’t be simpler really. Lime Margarita, Cranberry Cosmo, Mango Daiquiri. 450ml All. 5% Vol. The Lime Margarita was exactly as it suggests, very limey. Sharp and fruity this was certainly on the refreshing side of things. It sort of reminded me of a margarita but not exactly mind blowing. The Cranberry Cosmo, well aside from its ruby redness that’s about all I liked. It didn’t taste of cranberry or Cosmo and just tasted of watered down squash, boooooo. The Mango Daiquiri was fruity but had a hit of sourness that made for quite the unpleasant drink and was overall my least favourite. For novelty factor these score top marks, but when it comes down to taste it isn’t so fruitful. I was expecting something a tad more punchy and fruity but alas you may as well have a glass of squash. 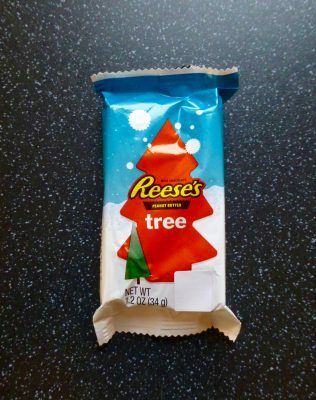 Never mind all is not lost because it’s CHRISTMAS EVE after all. Have a wonderful evening and I hope Santa brings you lots of lovely pressies!